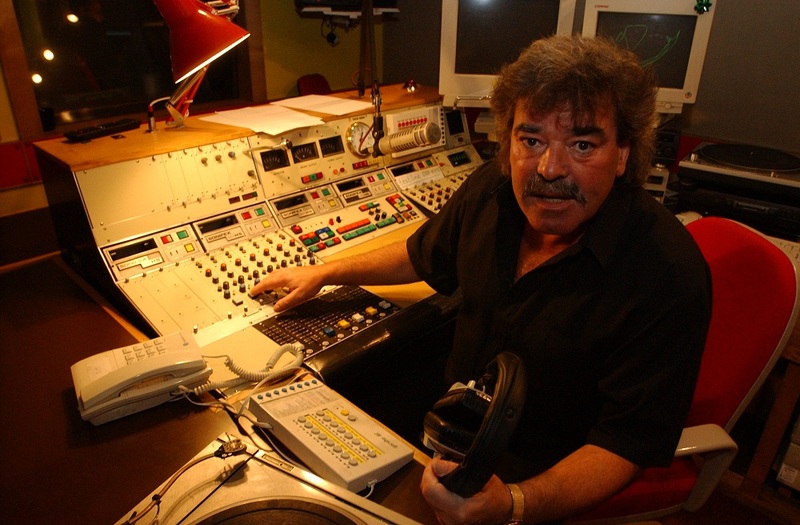 Signal Radio DJ, the late Mel Scholes. As someone who grew up with the BBC Radio Stoke on in the background, September 5, 1983 was quite a momentous day. That’s the date that a new commercial radio station took to the air and, for the first time, gave the people of North Staffordshire and South Cheshire a choice. DJ John Evington uttered the first words around 6am and chose Neil Diamond’s Beautiful Noise as the station’s first track. Signal Radio was named after newspaper The Signal in the novels of Potteries author Arnold Bennett which, of course, was based on the then Evening Sentinel. I well recall the early days of Signal, 30 years old this year, because – as an 11-year-old it provided a more ‘trendy’ alternative to the BBC station I had listened to every morning before school for years. Radio Stoke was where I always hoped to find out at 8am that my school was closed because the boiler wasn’t working and there had been a couple of inches of snow. Signal Radio, however, was different. In fact, I remember listening one Saturday morning and entering a trivia quiz against a bloke from Alsager. I managed to win and the DJ promised to send me a single! I waited for several days, the excitement building, until at last the parcel arrived. I ripped it open to discover I’d been sent a copy of We’ve Got A Good Fire Goin’ by Don Williams. I could have cried. I didn’t even know who he was. Despite the crushing disappointment for me personally, Signal Radio’s appeal continued to grow. The station, based in Stoke Road, Shelton, was one of the last in the country to split its frequencies. It initially broadcast on 104.3 and 1170 – changing to 102.6 FM later. Like any commercial station, in the early days it didn’t have the greatest budget but the dedication and enthusiasm of its staff and a bit of creative thinking more than made up for that. In 1986, for example, it secured the UK’s first Restrictive Service Licence to cover the National Garden Festival in Etruria. The station – now broadcasting as Signal 1 and Signal 2 – has been instrumental in staging many shows including the Battle of the Bands, a Young DJ contest and the annual Live in the City pop concert – as well as raising tens of thousands of pounds for various charities. Over the years a number of stars who have gone on to make household names for themselves gained invaluable experience presenting shows or working for Signal. They include comedienne Caroline Aherne, DJ Chris Moyles (formerly of Radio One), BBC NorthWest Tonight’s Annabel Tiffin, the late Potteries entertainment legend Mel Scholes, of Jollees nightclub fame, and even a certain Robbie Williams. Showbiz sisters Anthea Turner and Wendy Turner-Webster also cut their teeth at the station.